Patna : Defending champions and three-time title holders of Pro Kabaddi League (PKL) Patna Pirates are all set to thrill their fans when they kick off their home campaign against Jaipur Pink Panthers at Patliputra Sports Complex here from Friday. The Pirates will then take on U Mumba on Saturday, before facing Haryana Steelers on Sunday. They will also play their Zone B matches against Telugu Titans, Bengaluru Bulls and Bengal Warriors on October 30, 31 and November 1, respectively. Nicknamed the "Dubki King", Pardeep Narwal will continue to be team's strength and star attraction for Kabaddi fans. He will be supported by raiders Manjeet and Deepak Narawal, defender Manish and Vikas Kale and all-rounder Jawahar Dagar. Taking ahead this formation, the Pirates have an impressive bench strength who will add immense value to the team during competitive matches. Veteran coach Ram Mehar Singh will be responsible to guide the team's success in the ongoing Season 6 of the PKL. The recent introduction of Bollywood actress Neetu Chandra as their Community Ambassador will only boost the popularity of the side that already enjoys huge following in the region. "Patna is very proud of our kabaddi champions. The team has consistently performed in this most competitive kabaddi format and is all set to thrill its fans in the city once again. We wish them all the best," Neetu said in her message. 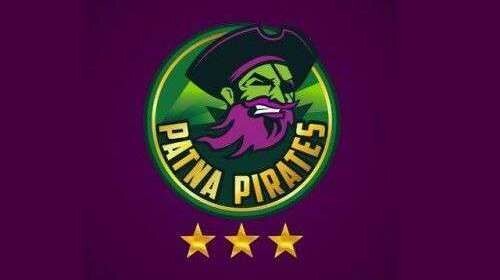 Commenting on the team's preparation, Pirates' CEO Pawan S Rana said: "Patna Pirates is well prepared for its matches. We will be playing six matches and hope to provide some memorable moments to kabaddi fans from Patna leg of Pro Kabaddi."